Michael Cohen, the form personal attorney and fixer to Donald Trump, is reportedly in active talks with federal prosecutors in New York to provide dirt on the president's inaugural committee. The New York Times and NBC News published a pair of reports on Friday that indicate Cohen is being pumped for information on "possible irregularities" related to the Trump Organization and political donors to the committee. 6 election. Trump. Mr. Cohen pleaded guilty last summer to arranging those payments. The president's inaugural committee is currently under criminal investigation by the SDNY for an allegedly pay-to-play scheme that allowed top donors to buy and – possibly influence – the incoming Trump administration. The Trump inaugurated raised $ 107 million – more than double what President Barack Obama collected as a record-high eight years earlier. And there remain several open-ended questions as to where that money came from, and what happened to it. Cohen, who worked for the Trump Organization for more than a decade, was a key fundraiser for the inaugural event. And as Vox's Andrew Prokop wrote of the broad investigation into the Trump inauguration, it was unclear until now whether Cohen was cooperating with investigators, or was the target himself. The new reports say that Cohen with federal prosecutors last month and was asked specifically about Imaad Zuberi, a political fundraiser and California venture capitalist, who allegedly gave $ 900,000 to Trump's inaugural committee. According to the Times, he also tried to be a consultant and cut him a large check around the same time as his donation. A spokesperson for Zuberi told the Times that Cohen never cashed the $ 100,000 check and denied partaking in any in-depth business dealings. Federal prosecutors in New York first launched the probe in December thanks to materials recovered during the FBI raids on Cohen's residence and office last year. 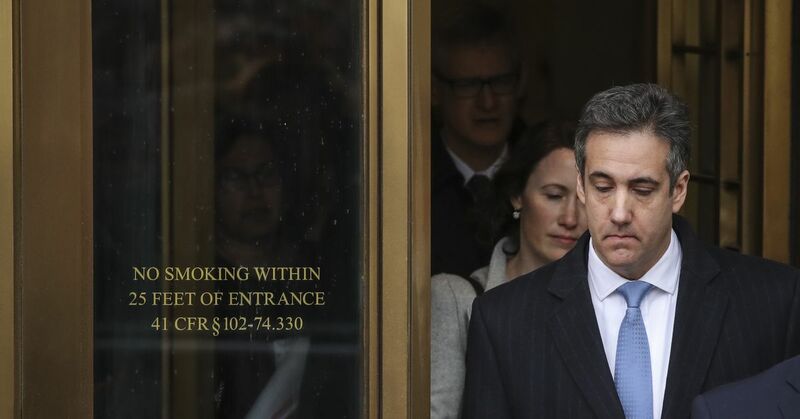 Cohen is supposed to start his three-year prison sentence in May after he pleaded to a litany of charges, from tax evasion to campaign finance fraud. There's a chance that Cohen's willingness to cooperate with prosecutors would mean less time behind bars, but as the pair of news stories emphasize this week, it all depends on a crucial factor – whether prosecutors find his information to be valuable, or more importantly, credible The SDNY investigation, however, is separate from special counsel Robert Mueller's probe into Russian interference in the 2016 election, on which Cohen pleaded guilty to lying to Congress. This week he'll be in the hot seat before lawmakers again. On Tuesday Cohen is scheduled to meet behind closed doors at the House and Senate Intelligence Committees. On Wednesday, his testimony will be public before the House Oversight Committee.